MICHELIN Pilot Sport Cup + is an evolution of the MICHELIN Pilot Sport Cup. 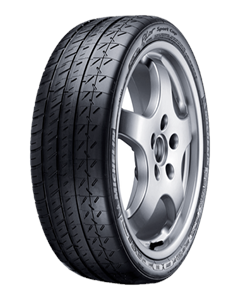 Wet grip and aquaplaning have been optimised with its Dual Compound Technology and a new tread pattern. Homologated by Porsche on the 911 (997) GT3 / GT3 RS versions, and by BMW on the M3. Built for circuit use, yet easy to drive on the open road. Sorry, we currently do not have any tyres with the Pilot Sport Cup pattern in stock.